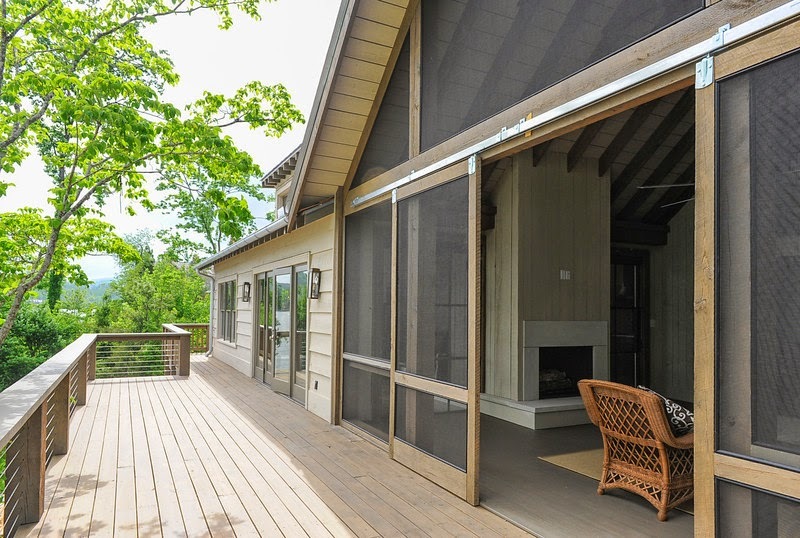 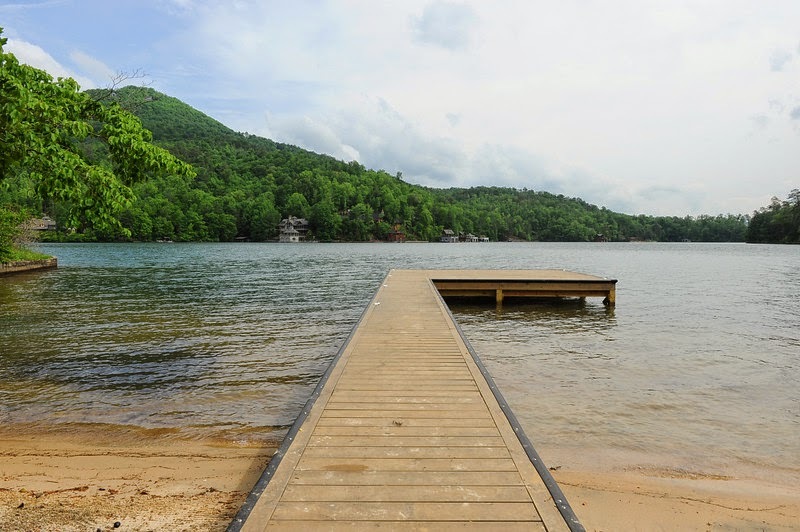 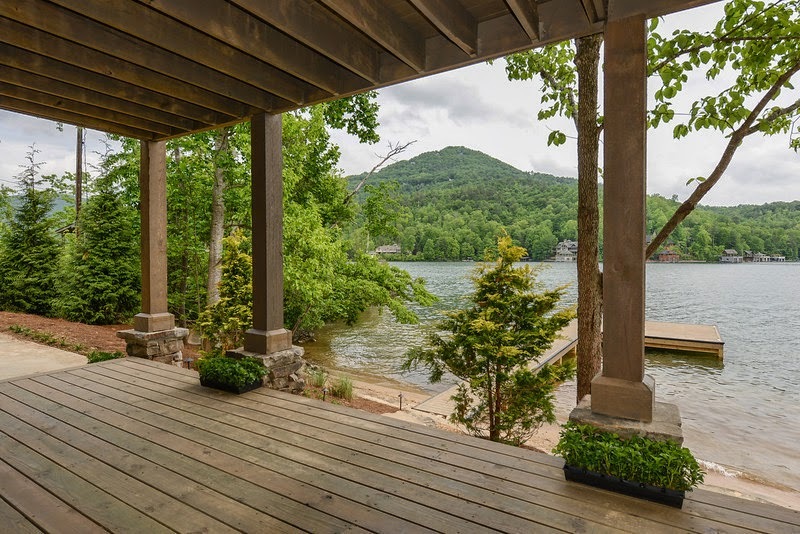 The Holiday weekend is quickly approaching and with it marks the start of Summer.... For Atlantans, driving 2 hours to the mountains & lakes of North Georgia (a doable weekend gateway destination) provides instant cooler temperatures & a picturesque respite from city life. 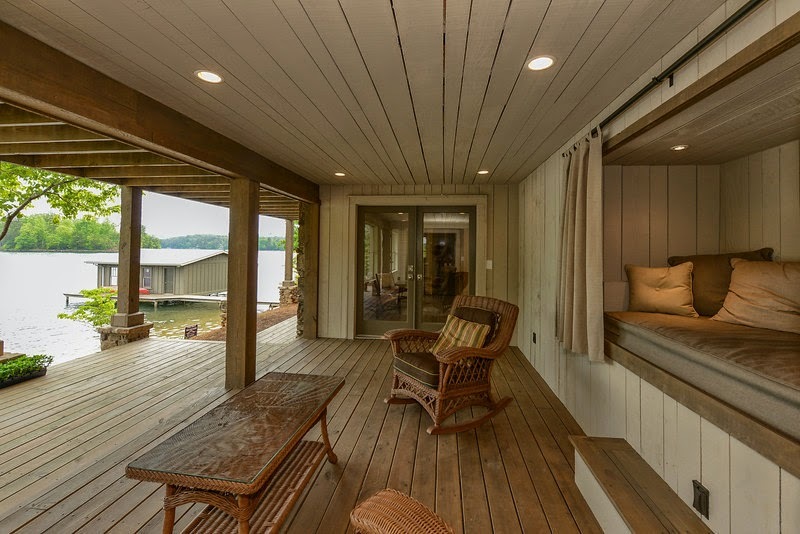 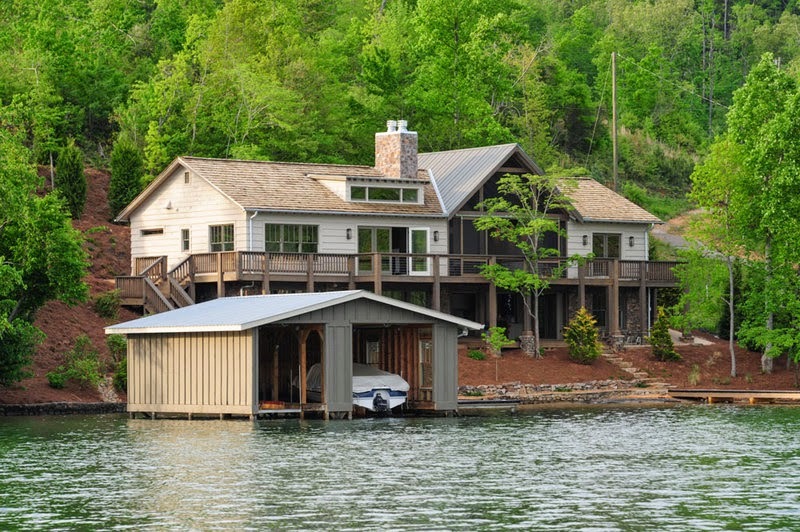 The home pictured above & below is currently on the market and located on Lake Burton. 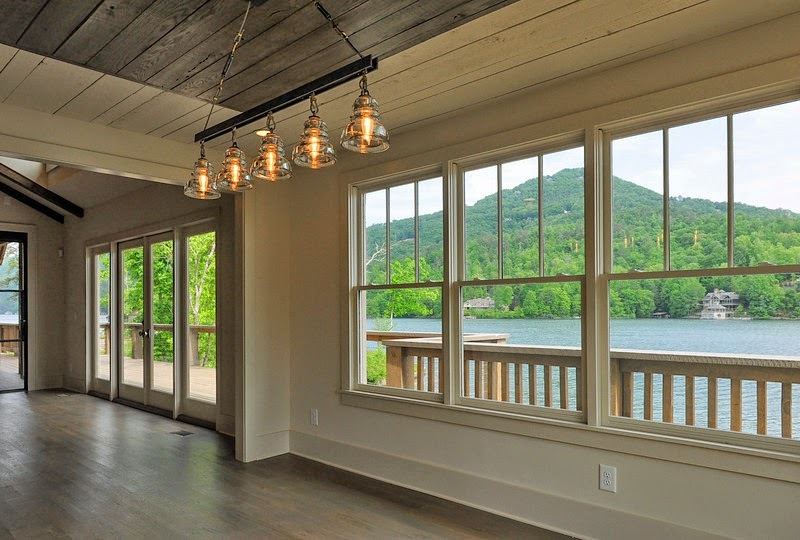 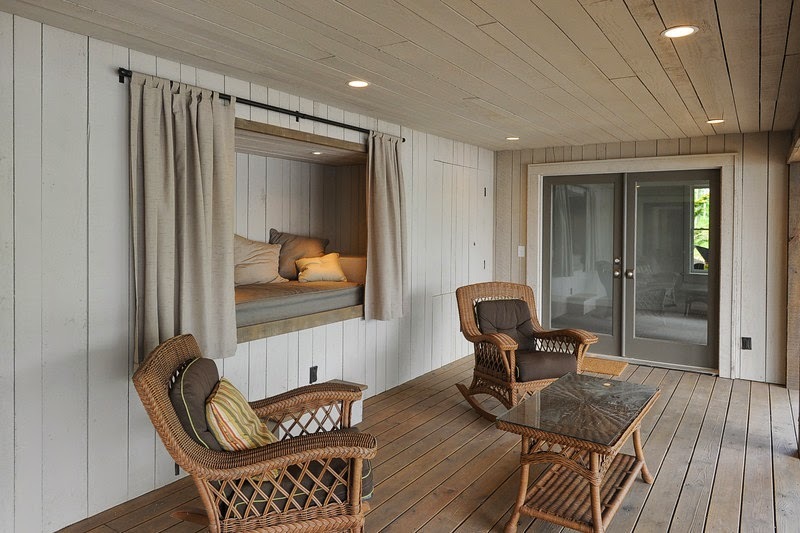 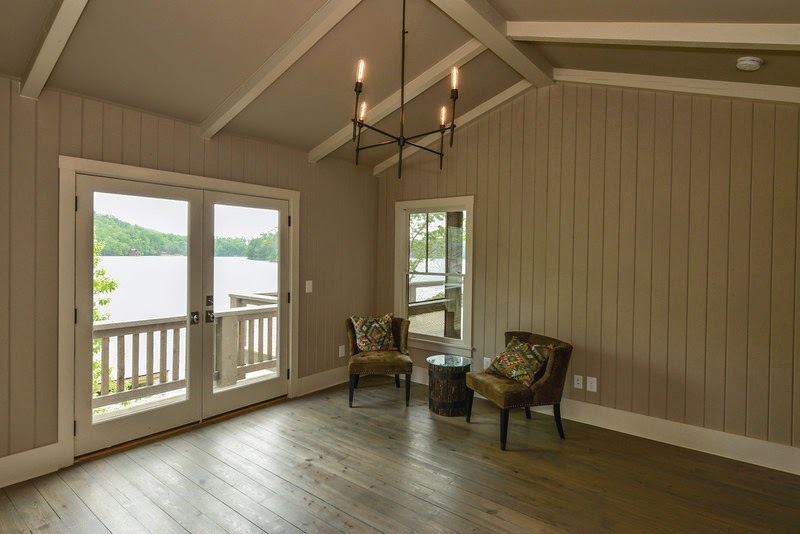 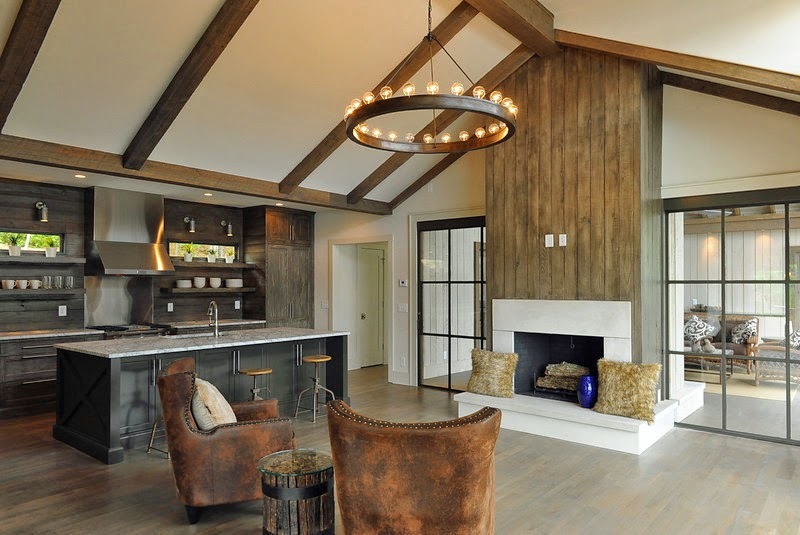 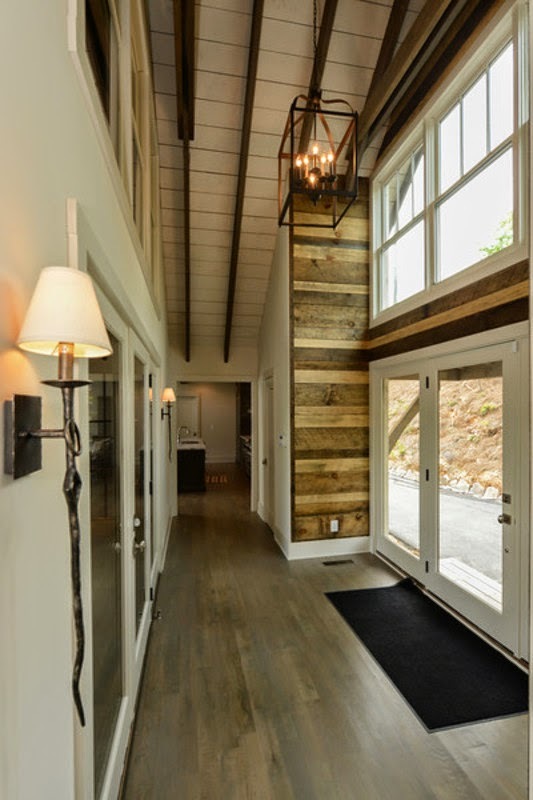 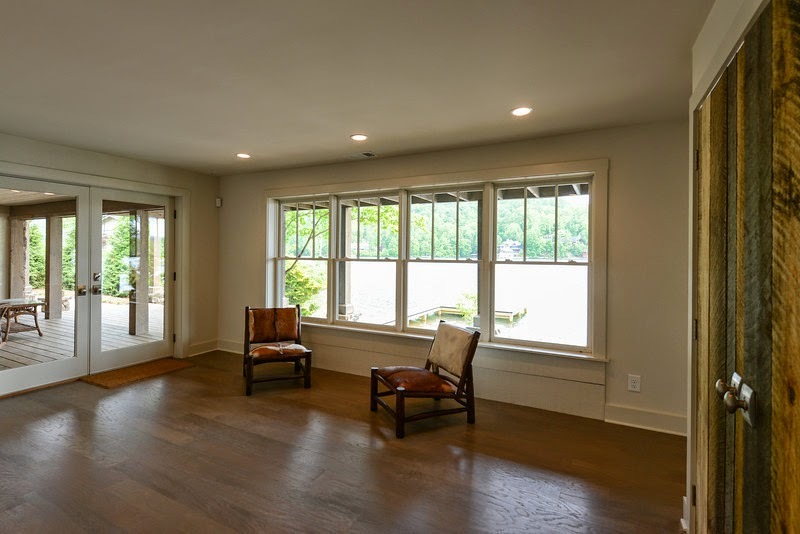 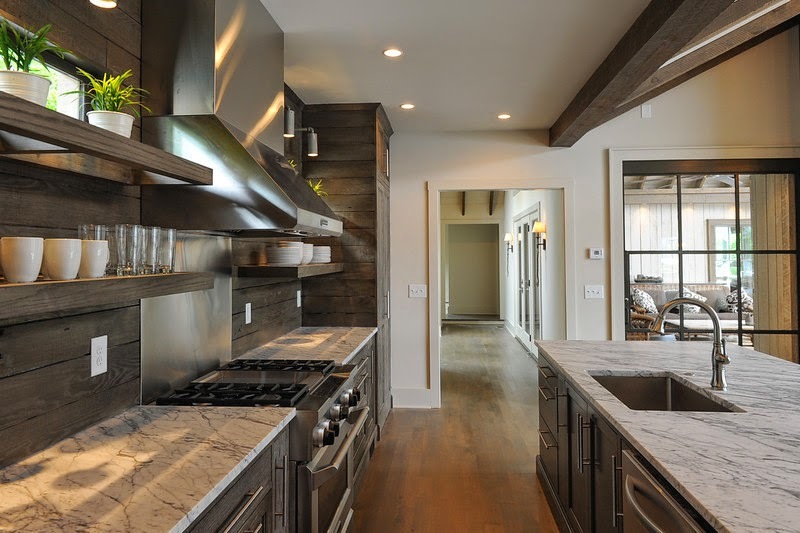 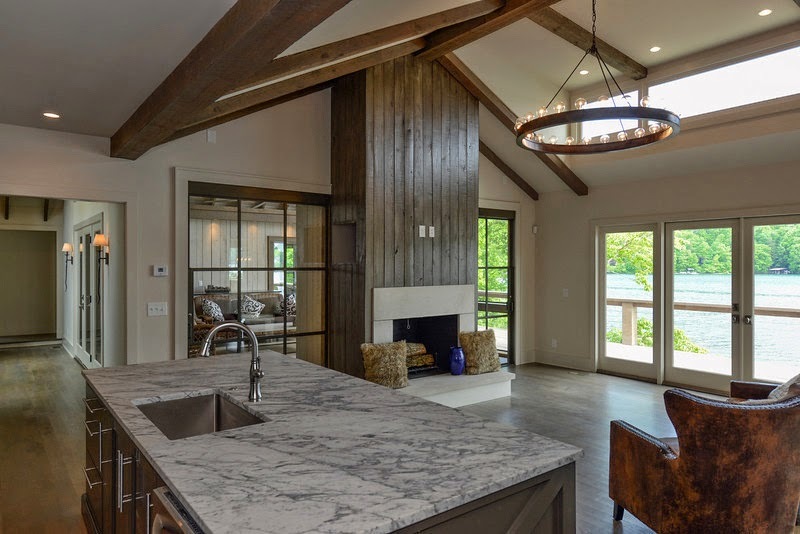 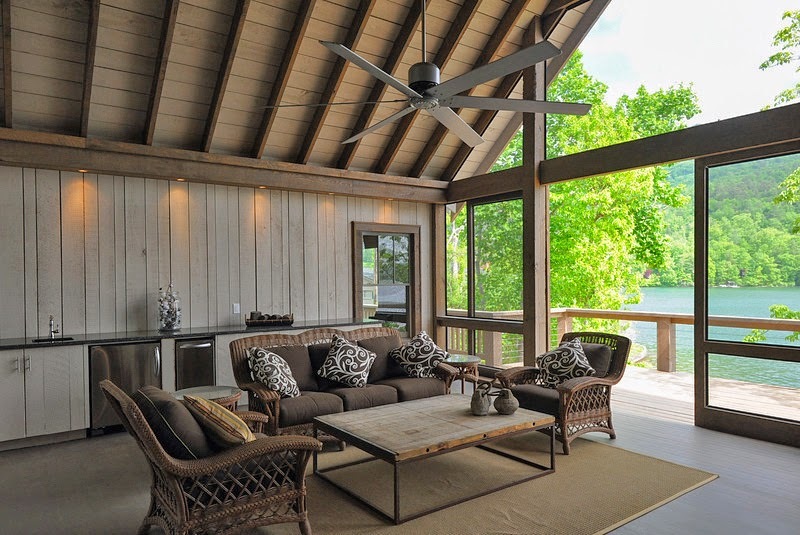 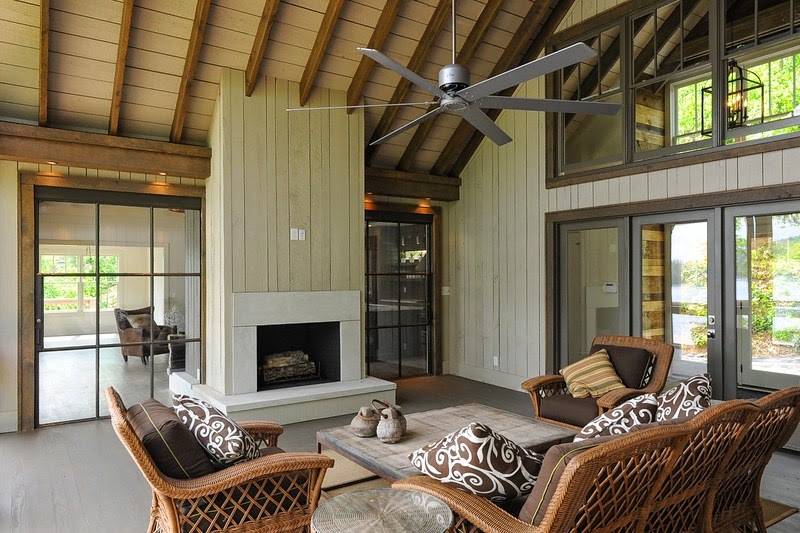 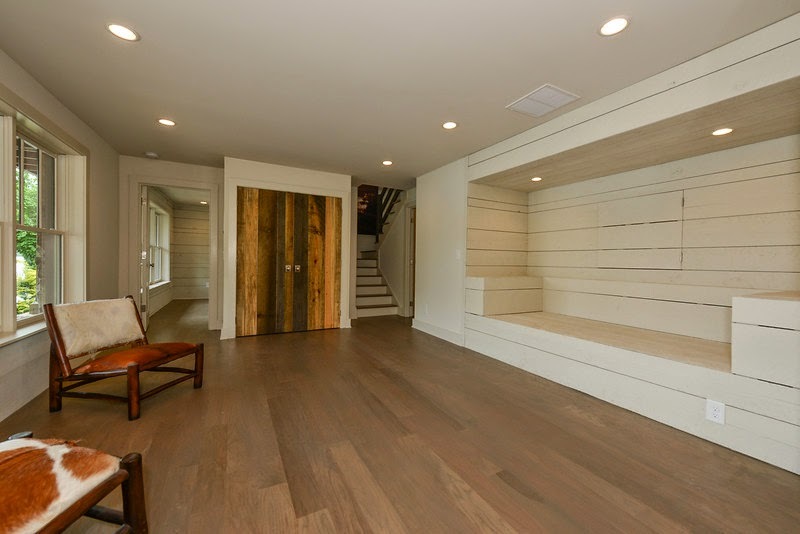 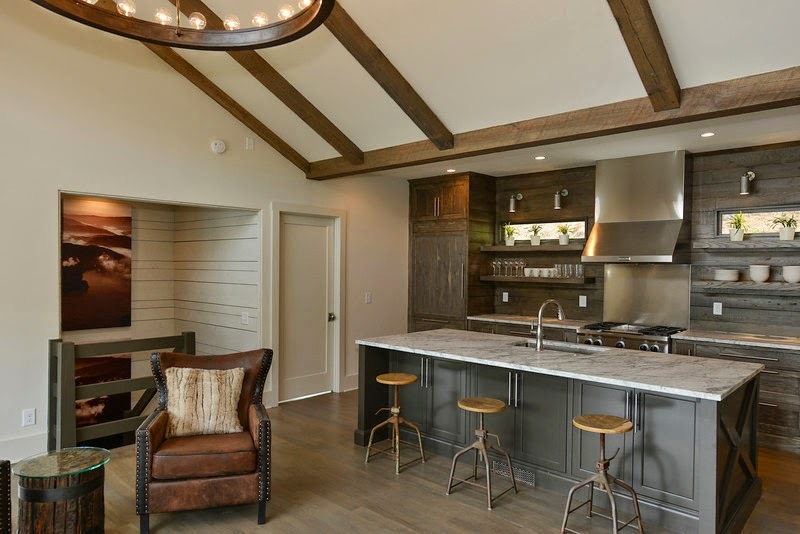 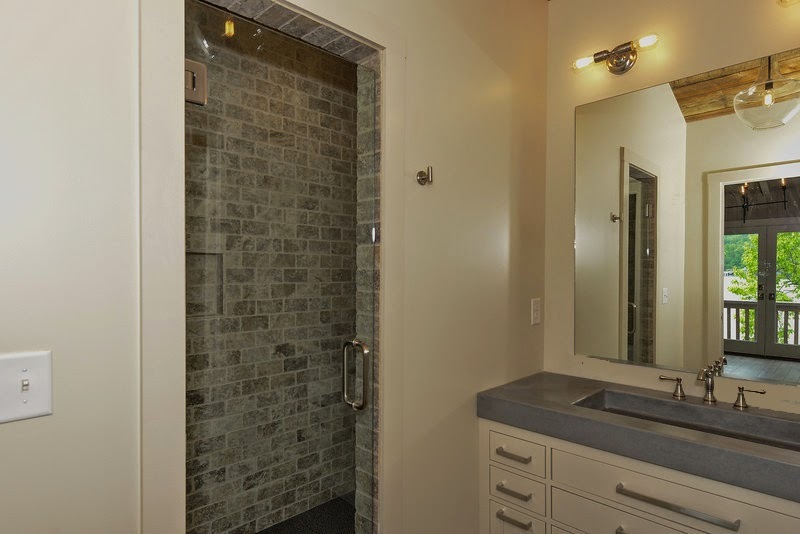 It has recently undergone an extensive renovation and the interiors are a stellar representation of today's lake house style -- still in keeping with the importance of indoor/outdoor livability, while adding the sought after refined decorative elements to finishes and fixtures.